Now that’s uplifting entertainment. The UP TV network will run a marathon of all 153 episodes of the original Gilmore Girls. The marathon is slated for the week leading up to Thanksgiving (US) and the Netflix premiere of the revival series, Gilmore Girls: A Year in the Life. The original series cast includes: Lauren Graham, Alexis Bledel, Melissa McCarthy, Keiko Agena, Yanic Truesdale, Scott Patterson, Liza Weil, Jared Padalecki, Milo Ventimiglia, Sean Gunn, and Kelly Bishop. The original Gilmore Girls TV series premiered on The WB on October 5, 2007. The Gilmore Girls season seven and TV series finale episode, “Bon Voyage,” aired May 15, 2007, on The CW. 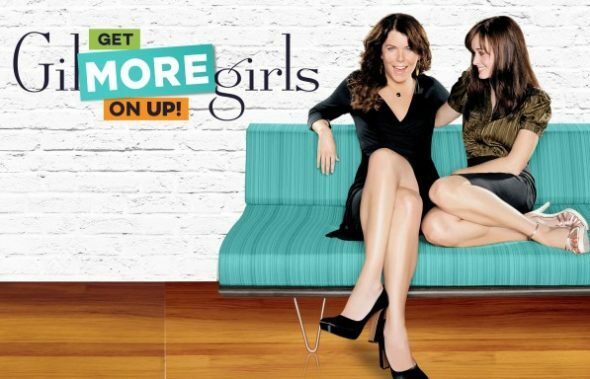 UP’s Gilmore Girls marathon begins Friday, November 18, 2016 at 6:00pm ET with the series premiere. It concludes with “Bon Voyage,” on Friday, November 25th, at 3:00am. The revival — Gilmore Girls: A Year in the Life — which consists of four Gilmore Girls “movies,” drops to Netflix on November 25th at midnight Pacific Time. Watch the “Gilmore Guys” discuss the Gilmore Girls: A Year in the Life. Set in a storybook Connecticut town populated with an eclectic mix of everyday folks and lovable lunatics, “Gilmore Girls” is a humorous multigenerational series about friendship, family and the ties that bind. Thirtysomething Lorelai Gilmore (Lauren Graham) has made her share of mistakes in life, but she has been doing her best to see that her college-bound daughter — and best friend in the world — Rory (Alexis Bledel), doesn’t follow in her footsteps. That may be easier said than done, considering that the two share the same interests, the same intellect, the same coffee addiction and the same eyes. Rory is more serious than Lorelai, but there are tendencies, especially in the love department, that clearly indicate she is her mother’s daughter. UP airs the original Gilmore Girls TV series, in three-episode blocks at 5:00pm on weekdays. The complete Gilmore Girls TV series is also available to stream on Netflix. What do you think? Will you watch the original Gilmore Girls TV series, before Gilmore Girls: A Year in the Life drops to Netflix? What do you hope to see in the Gilmore Girls revival movies? Tell us! More about: Gilmore Girls, Gilmore Girls: canceled or renewed?, Netflix TV shows: canceled or renewed?, UP TV shows: canceled or renewed? 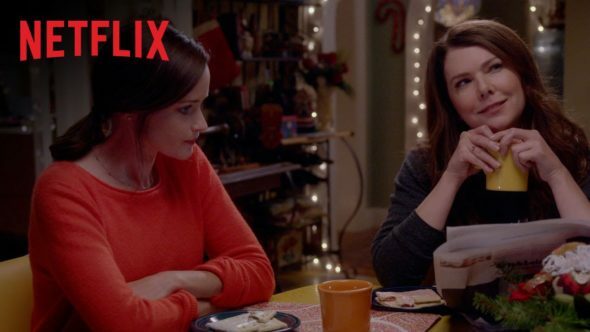 Gilmore Girls: Is Netflix Teasing Another Reunion?